Marquette: Will Markus Howard get back on track? As good of shooters as the Hauser brothers and Sacar Anim are, there’s no question the Marquette offense runs through Markus Howard. His red-hot shooting (40.8% 3FG) and ability to draw fouls (seventh-highest fouls drawn per 40 minutes) keep the Golden Eagles humming and give much needed spacing to his teammates. Tertiary scorers such as Joey Hauser and Anim are less efficient when Howard is not on the floor and the Marquette offense as a whole scores 10 fewer points per 100 possessions without him. That drops Marquette from an elite offense (23rd nationally) to a strikingly average one. In the team’s recent six-game stumble, Howard’s effective field goal percentage plummeted to 42.2 percent, compared with 53.5 percent in the games preceding it. So it’s no surprise then that some of the team’s worst performances correlate directly with an off night from their 5’11” star. Coupling these recent struggles with news of Howard’s hand injury is definitely cause for concern. Villanova: How will the Wildcats perform on an off shooting night? By this point, everyone knows that Villanova relies heavily on the three-pointer, having ranked among the top 40 nationally in three-point attempt rate for each of the last six seasons. This season, Jay Wright has taken that ambition to an extreme, with three-pointers accounting for 53.5 percent of Villanova’s shot attempts, good for third nationally. When they connect, defenses are forced to adjust, which opens up driving lanes and creates better spacing. But Villanova is decidedly average in its long-range accuracy this season, making the slumps feel that much longer when the shots continue to be fired. 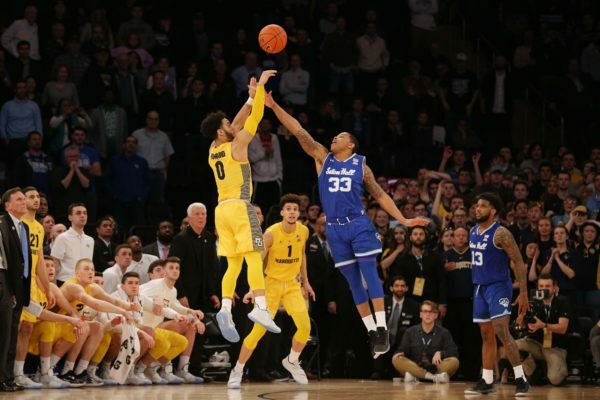 In the Big East Tournament, the Wildcats did a good job generating points at the line and around the basket during those inevitable cold spells, but it wasn’t always pretty and felt somewhat unsustainable. Wins are wins, but in the NCAA Tournament, the question will be whether Wright’s club can find offense when their shooting dries up. The rim-attacking abilities of Saddiq Bey and Jermaine Samuels will be critical. 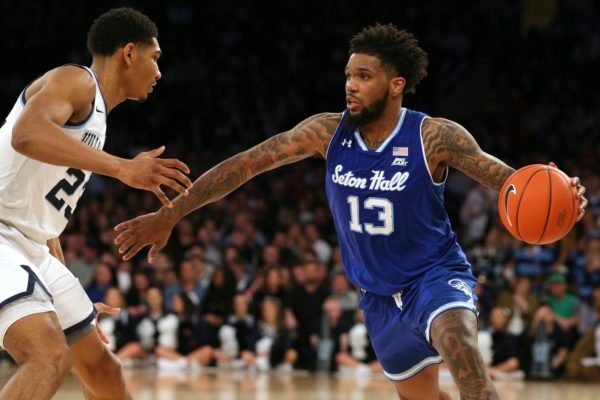 Seton Hall: Will its role players continue to step up? Over the past few weeks, Seton Hall has transformed from the Myles Powell Show to the Myles Powell Show With Bonus Features. Make no mistake, the junior still controls the destiny of his team and his teammates thrive off his energy on the offensive end. But during the Pirates’ sprint to the finish line, its role players have given outsized contributions. Myles Cale and Quincy McKnight are still inconsistent on the offensive end, but both have morphed into stout on-ball defenders, staffed with slowing down opposing teams’ leading scorers. Meanwhile, big men Michael Nzei and Sandro Mamukelashvili have made massive contributions on the offensive end. Nzei specifically posted a 14-point, 15-rebound line against Marquette on Friday and was terrific in the high post against Villanova. “Mamu” has pulled down 10+ rebounds in three of the last four games, including 10 offensive rebounds against Villanova. These two have added balance and ample second chance opportunities for a Seton Hall offense that can stagnate at times. St. John’s: Is it too late to course-correct? It’s been the same narrative all season, only now with an even greater sense of urgency. After nearly missing the NCAA Tournament altogether, St. John’s finds itself in a play-in game against Arizona State tonight, playing for the right to survive to this weekend’s action. But fresh off a 32-point embarrassment of a defeat against Marquette, the Red Storm are playing some of their worst basketball of the season. Its four worst defensive performances on the season have come in March and there’s ample reason to be concerned against a Sun Devils team that gets to the line more than almost any other team in the country. A loss here wouldn’t be surprising given this season’s story arc, but a win would go a long way in saving face (and potentially Chris Mullin‘s job). This entry was posted on Wednesday, March 20th, 2019 at 9:01 am by Justin Kundrat	and is filed under big east, feature, microsites. Tagged: marquette, st johns, villanova. You can follow any responses to this entry through the RSS 2.0 feed. You can leave a response, or trackback from your own site.